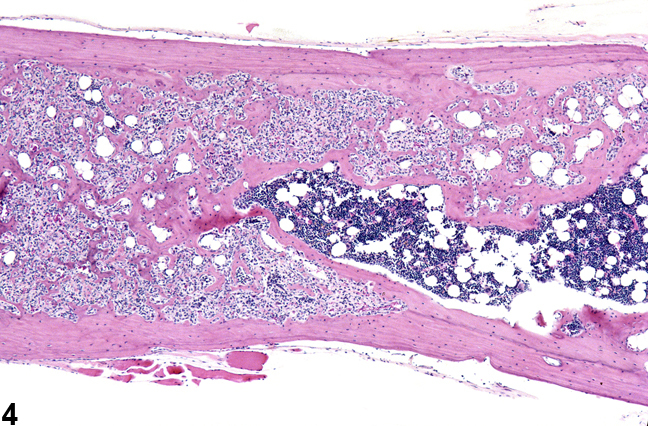 Bone - Fibro-osseous lesion in the femur of a female B6C3F1/N mouse from a chronic study. 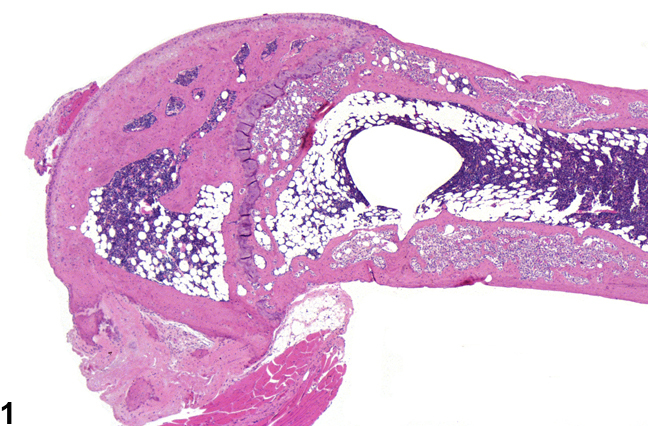 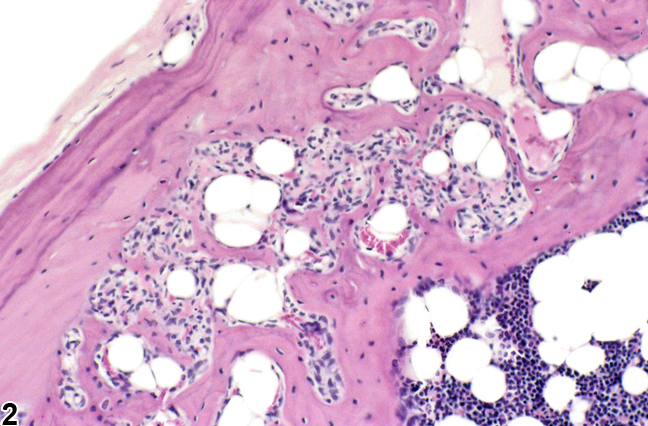 Bone - Fibro-osseous lesion in a female B6C3F1/N mouse from a chronic study. This fibro-osseous lesion shows replacement of bone by fibrovascular tissue. 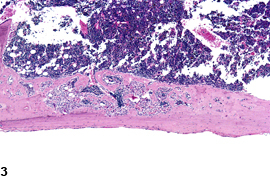 Bone - Fibro-osseous lesion in a female B6C3F1/N mouse from a chronic study. Bone - Fibro-osseous lesion in a female B6C3F1/N mouse from a chronic study. 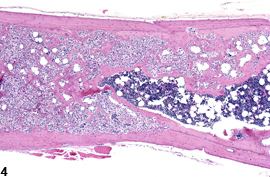 There is replacement of bony trabeculae and the marrow cavity with fibrovascular stroma.